The September 12 unveiling of the iPhone 5 pretty much seems a lock at this point. So the question now is, when can you actually buy it? 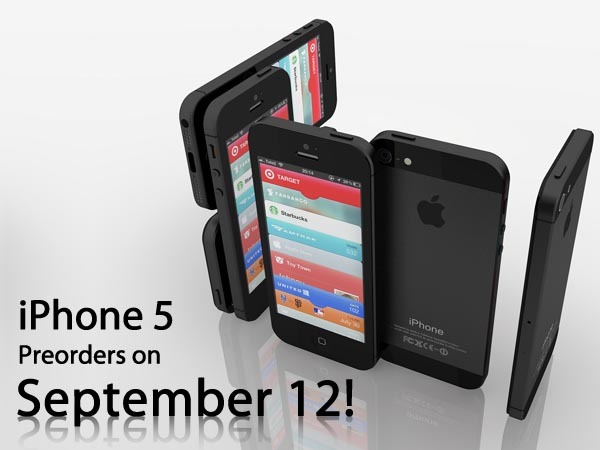 Well if rumors are to be believed, the iPhone 5 will be available in the US starting September 21st. People from other countries, however, will have to play the waiting game a little longer because it doesn’t hit international markets until October. These dates seem to fit the release pattern Apple has had with the iPhone in the past. If you will recall, Apple launched the iPhone 4S in early October 2011, more or less within the same time period as this year’s product launch. The iMore report also shares that on top of the iPhone 5, Apple plans to launch some other new versions iOS devices which include the iPod Touch, iPod Nano a new iPad and the rumored iPad Mini. No specific launch dates, however, have been gleaned at the moment but if past launch events are to be our basis, they should be unveiled shortly after the iPhone 5. Got an iPhone 5 or tech-related story you’d like to share with us? Send us an e-mail!